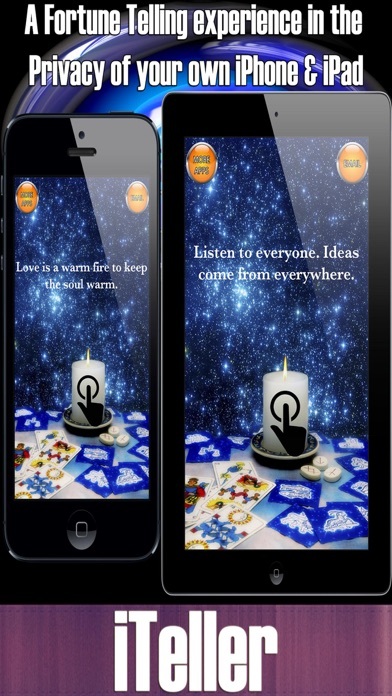 The scene is set, for your own fortune telling experience in the privacy of your own... Phone! 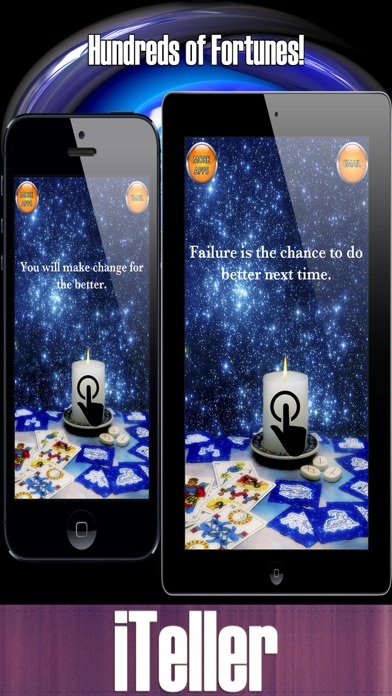 Featuring starry-graphics and a great random fortune telling experience, iTeller is here! Featuring; Over 260 Unique responses* Email responses using in-app email Suitable for all ages, great fun for everyone! Fully compatible with iPad, iPhone, iPod Touch. Full Retina graphics Unique Sound FX Easy, Clear and Fresh User Interface! Give it a try... 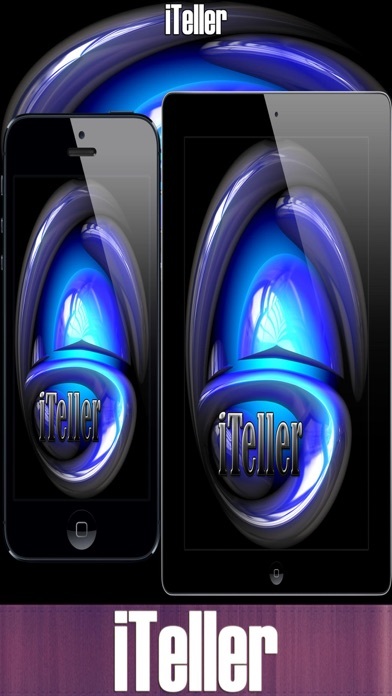 It's iTeller time! *Lite version limited to 35 fortunes however these can be upgraded via in-app purchase.